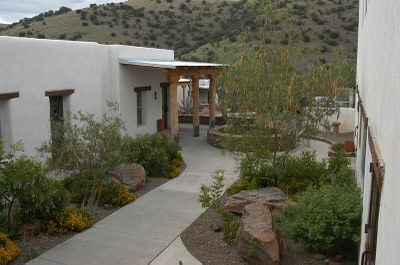 Indian Lodge is a full-service hotel, with 39 rooms, a restaurant and a swimming pool. The Lodge is within the boundaries of Davis Mountains State Park. To learn more, visit the Indian Lodge website.